A tankless or on-demand water heater is one of the most effective sources of hot water for homes and businesses in Ocala, FL. These units deliver two to five gallons of water per minute, custom heated for that moment. Traditional storage tank water heaters can provide adequate heated water, but these tanks often take up large amounts of space, pose a high risk of water damage to the property, require a lot of energy to function, and need to be replaced every decade or so. With benefits that far exceed those of traditional water heater models, the tankless water heater is the perfect solution for your water heating needs. If your property would benefit from the efficiency of a tankless water heater, call Sunshine Plumbing and Gas today. Our plumbing repair company has the most up-to-date information and experience in installation and repairs for all makes and models of tankless water heaters for both residential and commercial properties. Tankless water heaters are fueled using gas, propane, or electricity. When a hot faucet turns on, water draws into the tankless heater and starts to circulate. The heat source activates and begins to warm the heat exchanger. Water continues to circulate around the heat exchanger until it reaches the set temperature, flowing into plumbing toward the open faucet. Once the hot faucet turns off, water stops flowing inside the tankless water heater. Contact us for more information about our gas and propane services in North Central Florida. What Are The Benefits To Tankless Water Heaters? There are a number of benefits to tankless water heaters, but the most significant perk lies in their efficiency. Traditional tank-style water heaters often lose efficiency due to standby heat loss. But tankless water heaters begin warming the water for the intended moment, reducing the amount of energy required to function. Tankless water heaters aren't just more efficient, they last longer than traditional water heaters, and take up less space when installed. The average household uses at least 80 gallons of water per day, with showers and baths using nearly half of the total amount. When this amount of water flows through a tankless water heater, however, a tankless unit is generally still 8 to 14 percent more energy efficient than traditional models. Homes that use less than 80 gallons of water each day can save up to 34 percent of water, making tankless water heaters the most ecologically friendly option. 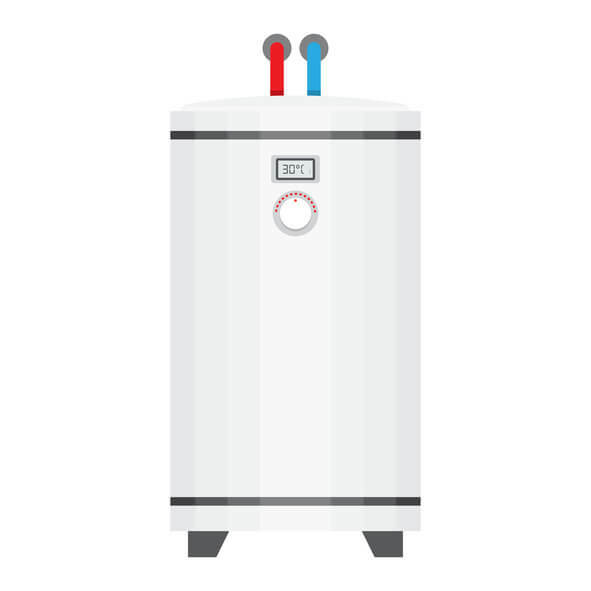 Traditional storage tank water heaters last from 10 to 15 years — on average — while a tankless water heater features a functional lifespan of around 20 years. This system longevity chalks up to its on-demand usage rather than preemptively storing a large amount of water in the tank. Tankless water heaters also have less risk of causing water damage due to a leak or burst, keeping your belongings, family, or employees safe from harm. Without a large, bulky tank in which to store water, a tankless water heater is compact and needs less space in a home or business for installation. Because of their smaller size, tankless heaters can be installed in either a central location as a whole-house style or to service only nearby outlets as point-of-use. Sunshine Plumbing and Gas will help determine the optimal location in a home or business for installing a tankless water heater. What Does Tankless Water Heater Installation Include? Scheduling a professional tankless water heater installation with Sunshine Plumbing and Gas ensures the unit is fully optimized for energy efficiency, cost savings, and longevity. We start by figuring out the flow rate and temperature rise expected in the home or business of the unit. To do this, write down the hot water devices, such as a shower and washing machine, likely to be used at the same time. Next, our technicians identify and add up the appliances’ individual flow rates, which are given in gallons per minute. The total gallons per minute is the ideal flow rate that the tankless water heater should supply for a home or business. Other factors our technicians will consider before installation include the fuel type, climate, local building code requirements, safety, and answers to any questions you may have regarding your new tankless water heater. For more information about the tankless water heater installation process or to schedule plumbing services, contact Sunshine Plumbing and Gas.